Alexandria. A beautiful port city located North of Egypt on the shores of the Mediterranean and named after its founder, ‘Alexander the Great’ in 330 BC. Knowledge is power and who would know better than the great conqueror Alexander, who was a man of sciences himself. His thirst for knowledge led to the birth of a vision. To gather all the knowledge of the world in one place. Now before Alexander could bring his vision to life, he had met with his end, but his successor Ptolemy I Soter took this ambition into his hands in 323 BC when he was crowned Pharaoh. It was in no way the first of its kind but it was by far the greatest and the most ambitious. And so began the quest. 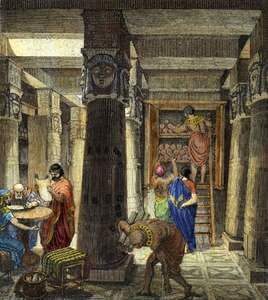 The birth of the Library of Alexandria. The Ptolemies took their hunt for books very religiously. Sources reveal that they stripped down and searched every ship that sailed into the harbor for books. If a book was found, it was taken and a copy of the book was made. The original was kept in the library and the copy was given to the owner along with adequate compensation. They provided aid and finances to scientists from all over the world and were also revealed to house more than 100 scholars to dedicate their life to the knowledge of the new world whose only job was to carry out research, publish, copy, and collect not only original manuscripts but to translate works from Egypt, Assyria, Persia, as well as Buddhist texts and Hebrew scriptures. Holding over 700,000 scrolls (which is roughly equivalent to around a million books now), no subject held more importance over the other. 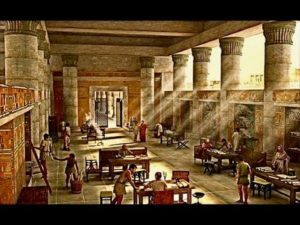 Mathematics, science, poetry, art, medicine, literature, history, religion, comedy, geography all were welcomed in the grand halls of the Library of Alexandria. Scrolls in Greek were the largest in number followed by Egyptian. It had literature from many languages and religions including Buddhism, Paganism and many more. Works by renowned poets and thinkers like Homer, Sappho*, Plato, Socrates, Aristotle, and commentary on Ptolemy by various authors were present too. It was a cultural center with shrines dedicated to each of the nine muses. Apart from its major function as a library, it also had quarters to study with separate lecture areas, laboratories, observatories, botanical gardens, a zoo, living quarters, and dining halls. A priest chosen by Ptolemy I himself was appointed the administrator and a separate librarian was present who was in charge of the manuscript collection. Ptolemy I was known to encourage Egyptian priests to accumulate records of their past tradition and heritage and to render them available for use by Greek scholars. Gender and culture was no barrier when it came to learning. The library was open to scholars from all cultures and both boys and girls studied and contributed regularly. Eratosthenes (the same guy who gave the method to list out prime numbers) – A Greek mathematician, poet, geographer, and astronomer was the first person to use the word “geography”. He also invented the system of longitude and latitude and was the first person to calculate the circumference of the Earth and to prove that the Earth was round. Hipparchus – a Greek astrologer, geographer, astronomer, and mathematician is considered the founder of trigonometry. He compiled the first comprehensive star catalog and calculated the length of the solar year accurately to within 6.5 minutes. Euclid – The “Father of Geometry”, whom we are all very well familiar with, wrote “Elements”, one of the most influential works and a textbook of geometry for 2300 years. Herophylus – a Greek physician was the first scientist to systematically perform scientific dissection of human bodies and is deemed to be the first anatomist. He identified the brain, not the heart, as the controlling organ of the body and the seat of intelligence. Hero of Alexandria – was a Greek mathematician and engineer, considered the greatest experimenter. He is the inventor of gear trains and steam-powered engines. Erastitratus – founded a school of anatomy in Alexandria and was the first to distinguish between veins and arteries, and was very close to the discovery of the circulation of blood. 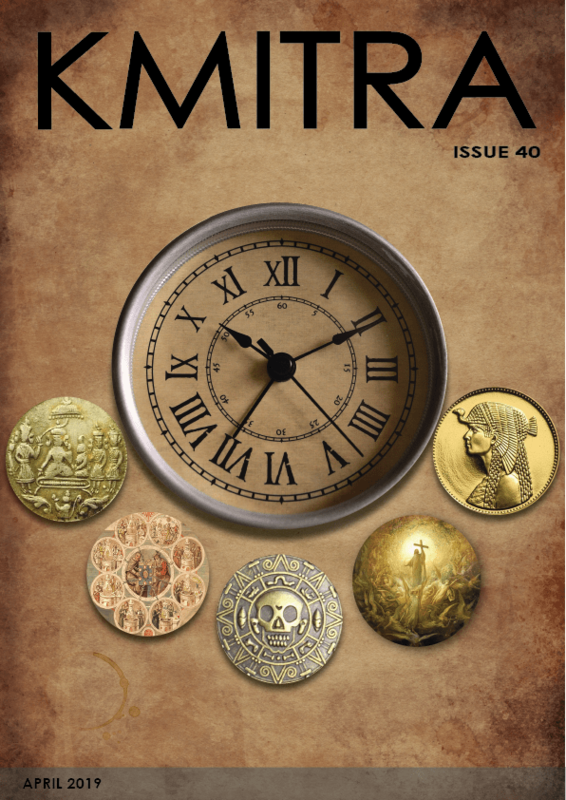 Manetho – chronicled the pharaohs and organized our history into the dynasties we use to this day. 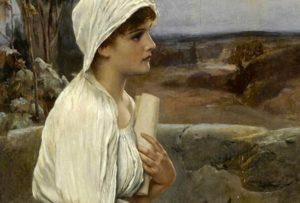 One of my favorite examples would be of Hypatia; daughter of Theon of Alexandria (who was a mathematician and astronomer). She was in that time one of the world’s leading scholar and was a very popular teacher who attracted a lot of loyal students, she taught subjects varying from mathematics to philosophy. Her philosophy revolved around Neoplatonist which was then seen as pagan. She embraced celibacy and dedicated her life to the sciences. And know this, people weren’t burnt at the stake or sent to the guillotine for coming up with new theories. Knowledge took priority over religion. This might also be the key reason for the downfall of the library. It was during this time period that religious conflict between Christians, Jews, and pagans rose, marking the time when things started to turn foggy and dark in Alexandria. I would make a joke about how the library was a flame that attracted moths from all over the world, but it just hurts too much thinking about it. Now there is a good chance you might not have heard of such a great library. And that is because there are no living remains of it. Or more likely no living remains that we know of. We cannot pinpoint one reason for its destruction. Not because we don’t know what caused it, but because there are just too many. Cowardice, foolishness, fear. 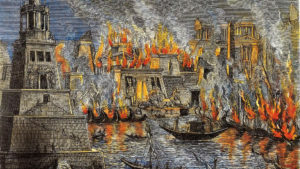 The first person to be blamed for the destruction of the library would be none other than Julius Caeser in 48 B.C, who in an attempt to save his life from the Egyptians, set a bunch of ships on the harbor ablaze. 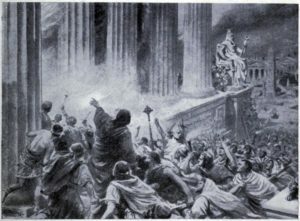 This fire soon spread to the city and burned down major parts of the library. This was the beginning of the destruction of the world’s most complete collection of ancient literature ever assembled. 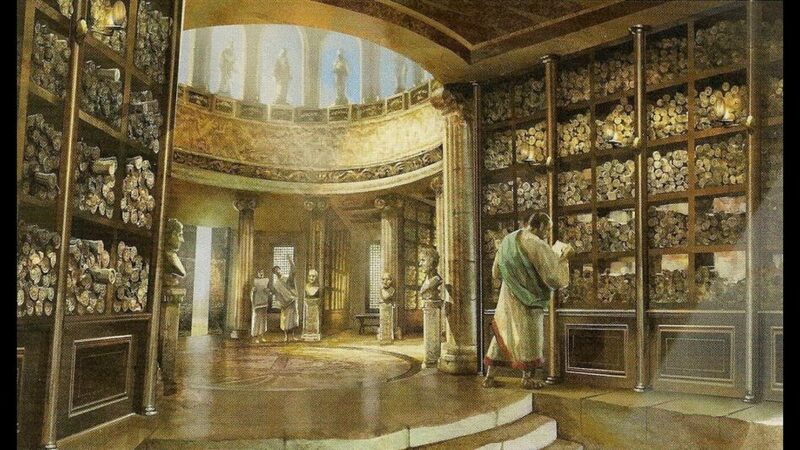 Soon after, Theophilus became the Patriarch of Alexandria, during whose reign (around 391 AD) the Temple of Serapis (was estimated to hold about ten percent of the overall Library’s holdings) was converted into a Christian Church and most of its documents were destroyed then. Once again I am not going to go into details about every person who had a hand in the destruction of the Library, so here is how it roughly happened. As mentioned, this was a time of bitter religious conflict. It was just then that Christianity came to power and they decided they had enough of other beliefs. They destroyed all the knowledge that went against their ideas and notions. Anything that questioned their morals was set on fire. Be it people or manuscripts. Alexandria also being a port city attracted a lot of invaders from the east. Every ruler who found any of the knowledge (be it scientific or religious) remotely threatening their position, culture or religion had it destroyed. Soon, knowledge was scraped away from existence. Books were stolen, traded or sold in city markets, their value dropping to ashes. And as the years went by, the great Library of Alexandria was no more. All that history was lost forever. We men and women of the 21st century are proud of where we are now. People in space, stem cell research, genetic engineering, artificial intelligence. We can easily say we were able to achieve all of this without the help of all that knowledge and information gathered all those years ago. Which we did very well and as mankind, we are excelling in it too. But imagine the possibilities. Of not starting at ground zero. The universe gave us leverage which we humans destroyed. It was fear of knowledge that took us back by centuries. The same knowledge we crave for now: to cure cancer, to explore the deep blue sea, to look beyond the stars, could have been ours. We got vaccines in 1798 when Edward Jenner started his research on smallpox. Copernicus gave the heliocentric model in 1543. All I am saying is that if the library would have survived, these dates would have been very different. We could’ve looked at history with a different perspective and the future with different possibilities. We are where we are now because of what we did to ourselves, living in a world of constant possibilities and what ifs. We rose from those ashes and built ourselves a modern world. Though knowledge may have been destroyed, it would always find its way back to man again. For a man, knowledge is the only true companion. It hurts deeply to think of what we are, and what we could’ve been. 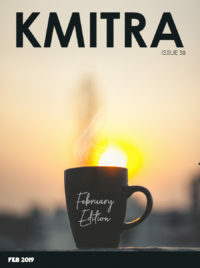 The information resting on those manuscripts, the beautiful poetry, research on surgical methods. Where learning never rested. To roam through those great halls being surrounded by masses of facts and theories. Research and Philosophy. The key to all the questions in the universe. Be it right or wrong, they sure were closer than generations that came after them. For all we know, we could have been living in a modern-day Wakanda. *If Homer was called “The Poet”, she was called “The Poetess”.